Over 3.2 millions students are victims of bullying each year. 72% of the adult American public is familiar with instances of workplace bullying. abuse in their sport of choice. Bullying happens whenever someone feels they don’t have the power to stop verbal or physical abuse happening to them. Bullying is caused by a lack of respect not only by the bully, but also by anyone who sees or knows about it and remains silent. That silence contributes to the continuation—and possibly the increase—in harassment. 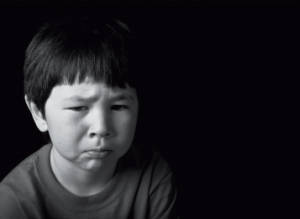 The effects of bullying can include absences at school or work, a decline in grades, job loss, and long-lasting impact on physical or mental health. What can we do to prevent bullying? CHAMPION bullying prevention by turning your words into good deeds. Get involved! ADVOCATE to stop bullying. Learn the facts and speak up! DONATE your time, money, or goods to the cause of bullying prevention. Volunteer, attend, or support national or local efforts. Make it count! Get the facts. Speak up. Do your part.